I’m here to share my experiences as a musician, and more specifically as player of the recorder and early flutes, which I’ve been doing for my living for many years now. I’d like to share anecdotes from my career; appreciations of mentors, colleagues and students without whom my life would be so much poorer; musings on the value and purpose of music; occasional bits of advice; and thoughts about repertoire, instruments, etc. I’ll also reflect on the experiences shared by players of recorder and historical flutes, and how we and our instruments are seen by the rest of the musical world (well, some of it). I’d like to share music, imagery, links to the websites of interesting and inspiring players, and many more things…And last but definitely not least, I’d like to connect with others interested in these subjects, so I hope you’ll be in touch. This blog is named for Calliope, one of the nine Muses of ancient Greece, and for her sister Euterpe. Calliope was the Muse of epic poetry and was usually depicted with a writing tablet in her hand, while images of Euterpe, the Muse of lyric poetry, show her carrying a flute. Interestingly, none of the nine sisters are in charge of music – that was in the job description of their father Apollo – so if musicians in general (and flute players in particular) are looking for a Muse to whom we might relate, the likely choice would be Euterpe. But I chose Calliope’s name here because it’s a bit more familiar, perhaps a bit easier to pronounce, and coincidentally it’s also the name of a musical instrument, so it ties quite well into this blog’s theme. 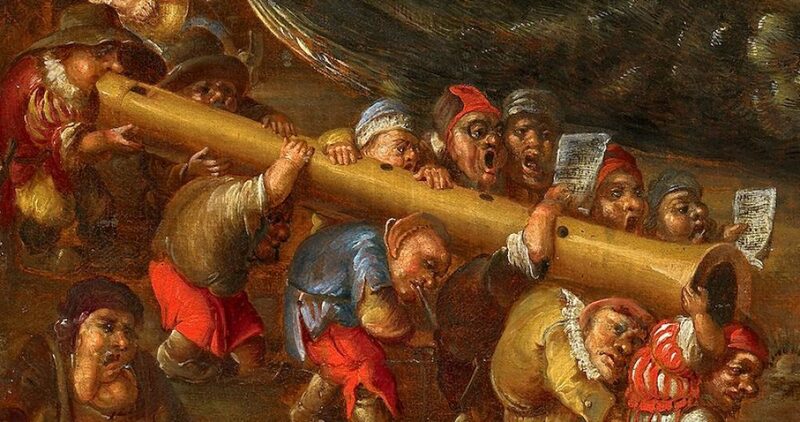 In addition, the calliope isn’t universally regarded as a ‘real’ musical instrument – a characteristic shared by the recorder. And as you might imagine I’ve got a few things to say about that.